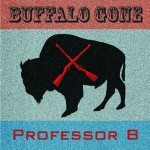 Announcing my new website Professor-B.com. The website also discusses music production - breaking it down into equipment, instruments, DAW software, mixing and mastering, and digital release. My latest kit build is that of the Audio Note L3 Phono Stage. Although I already had a phono stage, it was easily surpassed by the arrival of the DAC Kit 2.1. I knew that my turntable was capable of much more so I decided to try out the new phono stage from AudioNote Kits. This one uses the same phono section as the highly acclaimed Audio Note M3. You can see the build of this kit by clicking here. A full review is now available. I am happy to announce that I have completed the build of some fantastic speakers - a pair of Audio Note Kit03 speakers that sport silver voice coils for both the tweeter and woofer, matched and calibrated crossovers, and a sensitivity of around 98dB. 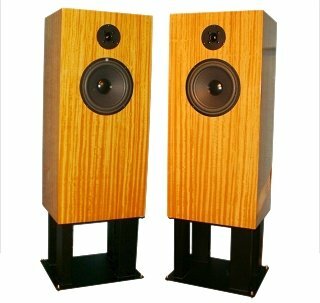 These are based on their renowned AN/E series speakers. 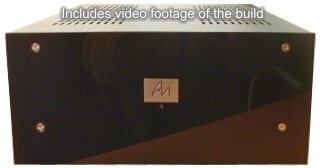 A full review of them is now now available, as is the build process. I have also included the build of some Audio Note speaker stands too. A review is now available for the Audio Note DAC Kit 2.1 Level B Signature with USB Option. Suffice it to say that I am enormously impressed with this little gem and hope to update the review further some time in the future when it has undergone a few hundred hours of further burn-in time. The DAC Kit 2.1 is an exciting, and long awaited, new development with new valve output stage (2x6922), I/V inter-stage transformers, M2 power supply for output supply, separate power supply for the digital section, and no analog filter. Its build process can be viewed by clicking here. Having completed the build of my Audio Note Kit1 Phono Stage Signature, it was time to find a suitable mate. The new phono stage had shown up a great many inadequacies in my old Rega turntable and it was time for a significant upgrade. 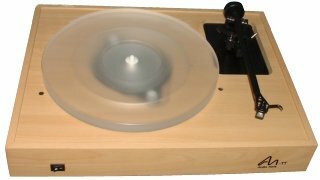 I settled on an Audio Note TT-2 turntable. Click here to read my review and story behind this fabulous purchase. The Kit1 Phono Stage is relatively new. It uses the power supply design from the Audio Note M2 finished product. 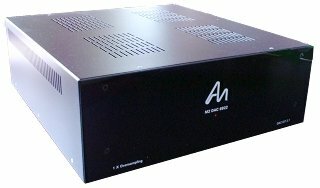 The phono stage uses the M7 phono board from the pre-amp kit that has been modified by Andy Grove (Audio Note) to have an improved RIAA curve and output at optimum for direct line output. Click here to see details of the build. I have a number of out-of-the-ordinary interests that I never seem to get the time to get involved with anymore. So, one of the ways that I thought might push me toward getting re-involved, would be to put together this website. I also hope that it will encourage people with similar interests, or those who are considering such, to get involved. 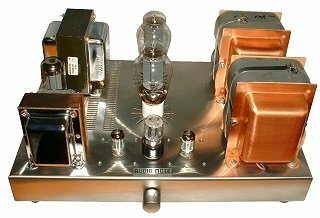 My first projects was to document my experiences building an exotic single-ended, Class A, 300B triode valve Hi-Fi amplifier. I know that many people come across such kits but decide against building them themselves because of all the unknowns involved. I hope to remove some of those unknowns, and encourage others to follow by providing a step-by-step guide. If only one person who would never have considered building a kit in the past successfully completes such a project because of this website then I can look at it as a success. I do not profess to have what I would call 'expert knowledge' in the subjects and opinions on this site. In fact, the subject that I do have expert knowledge of will be mentioned as little as possible because this site is just as much therapy away from it for me than anything else. My expert subject, by the way, is computer programming; encompassing many aspects therein. So although I may write the odd utility programs to help us along, I don't want to get involved in it as a subject here - if only for my own sanity. Please feel free to browse the site. A good starting point may be to look at the feature boxes on the left. Note: There are no random pop-up advertisments on this site. Pop-up windows are only used for links to external sites (which share the same window) and extra information links. Site first became live Tuesday 3rd May 2005. Last updated: 11th September 2012.